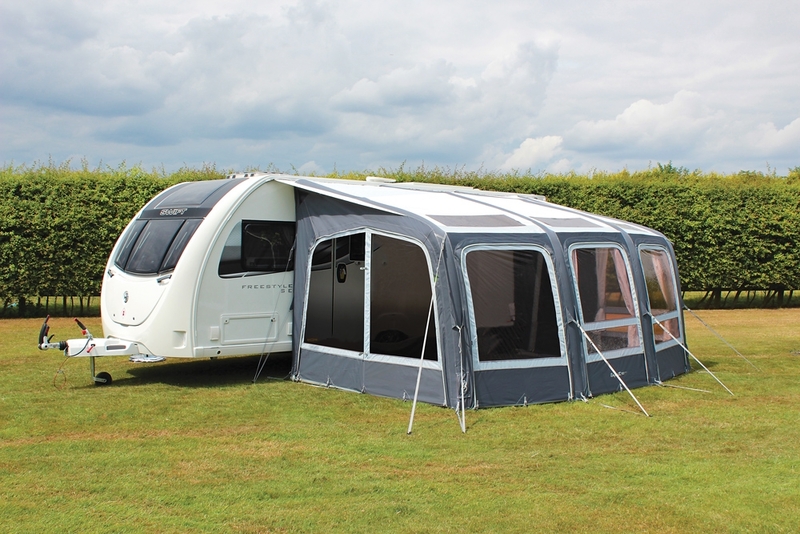 Outdoor Revolution’s flagship model just got better with the premium traditional feel ‘Esprit 420 Pro RVS’ single inflation point caravan air awning weekender, incorporating all of the features and benefits of its predecessor, with the addition of our exclusive ‘Revolution Vario System’; an auxiliary zip-in adaptor panel which allows the external side door to be removed and zipped into an internal awning position, creating an open porch area. 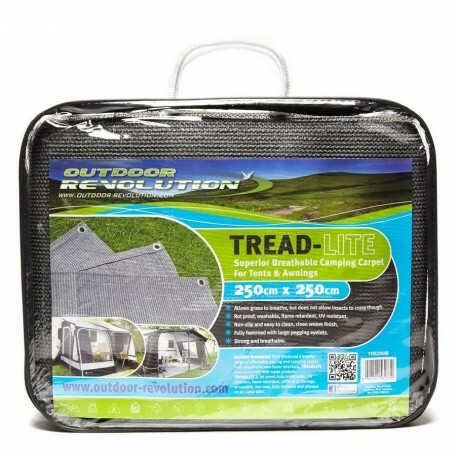 This is the first product in our entire range to substitute guylines, for our BRAND NEW ground anchor webbing strap system, designed to securely hold the awning in position and increase stability throughout adverse weather conditions. 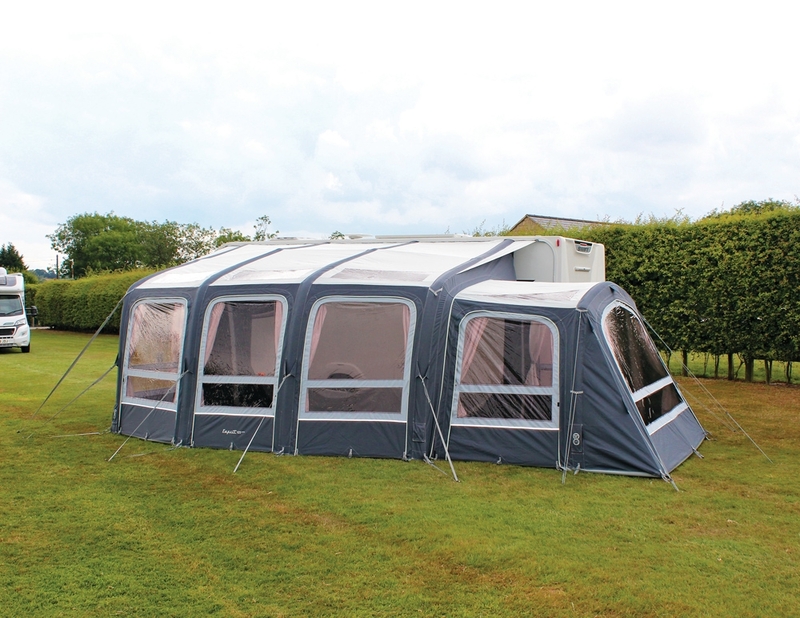 Employing the most FLEXIBLE living/sleeping space on the market; this ‘conservatory for your caravan’ is the ULTIMATE choice for larger touring groups or families, with complementary partition panels available for purchase, permitting a range of different configurations and allowing the generous interior to be conveniently segmented into multiple living, storage and sleeping rooms. Mesh panels are also available for both sides of the awning, as well as the front left/right hand doors. An optional ‘Pro Conservatory Annexe’ can be zipped onto either side to extend usable space even further. Are you looking for the Esprit 420 Pro RVS (2019)? 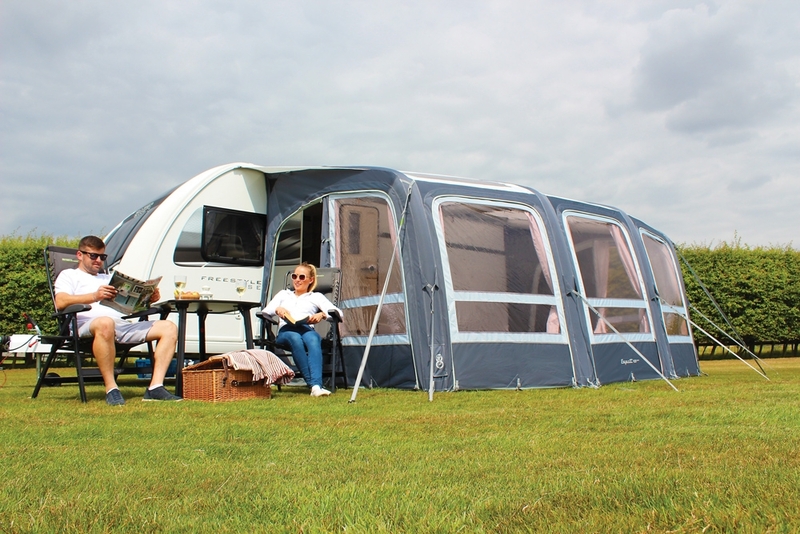 The ‘Esprit’ range is specifically crafted from our premium ultra-fine 800 High Density yarn woven fabric, designed to create the luxurious aesthetic and feel of a full traditional awning, without their impracticalities or weight constraints. 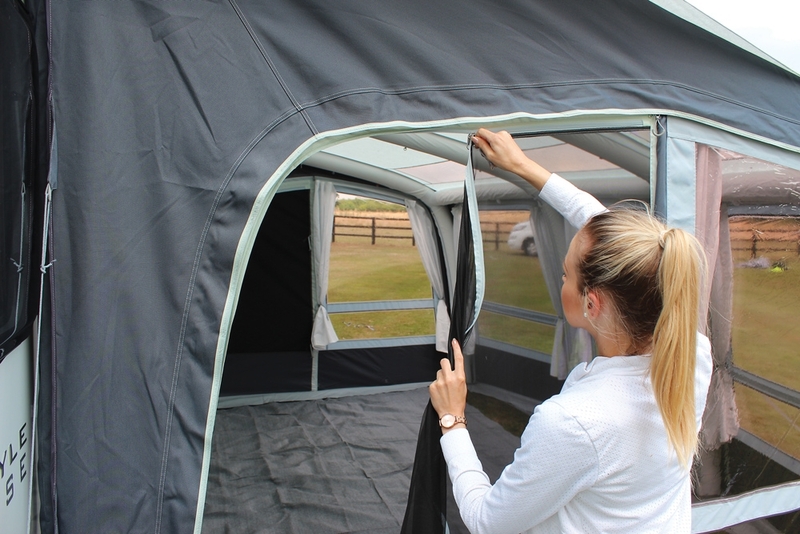 This intricate polyester fibre weave is utilised to produce the highest performing awning possible, unrivalled in its water resistance, fade resistance, durability and technical performance, plus is quality controlled to the highest of standards. This fabric is exceptionally waterproof, encompassing a hydrostatic head rating of 6,000mm², therefore water will simply bead onto the surface and roll off; the light coloured roof material reflects heat to maintain a pleasant temperature inside the awning. The canvas and workmanship incorporate a 12 Month Warranty against any manufacturing faults. The robust Oxygen Air-Frame is the quickest, simplest and most reliable inflation system on the market, with no adjoining pipes/taps spoiling the immaculate lines of our stunning designs. The air frame comprises Dura-Tech welded single inflation point air frame technology, utilising high pressure tubes, the famed Dynamic Speed Valve and patented Intelligent Frame Relief Valve. Inflation is rapid using the Dual Action Pump provided, whist deflation is just the push of a button; our exclusive pressure relief valve prevents damage to the tube by expelling any excess air, typically caused by over inflation or changes in the ambient temperature. All valves are discretely concealed by a velcro cover. The Dura-Tech frame has been quality controlled to ensure optimal performance and comes complete with our exclusive Lifetime Guarantee* for peace of mind in years to come. Panoramic tinted anti-glare window and skylight panels permit an exceptional vista of the surrounding environment and protect against harmful UV rays, whilst increasing privacy and creating an airy atmosphere. These are accompanied by traditional white sliding curtains, which can be completely opened to illuminate the awning during the day, or drawn fully closed for maximum privacy on an evening. 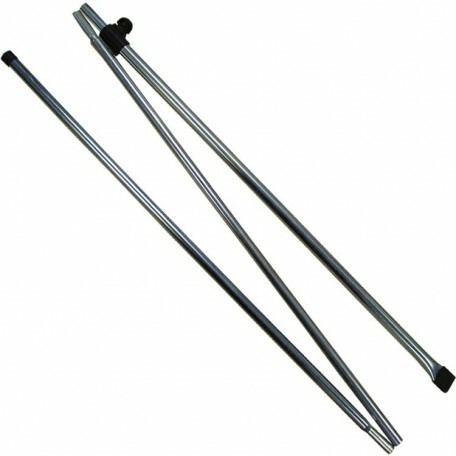 The addition of twin piping (6mm x 4mm) permits compatibility with both caravans and motorhomes within the corresponding height range. The side doors incorporate a breathable Phoenix Mesh panel to improve air circulation and keep insects at bay in summer; an assisted healing ‘smart’ material with the structurally incorporated ability to repair ‘snag’ damage, typically caused by consistent usage. Simply manipulated, the mesh will return to its original form. 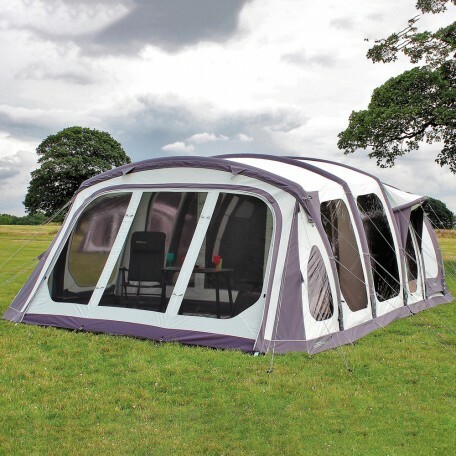 These side doors can be zipped completely out, permitting attachment of the optional annexe, plus are 195cm high, to increase ease of access to the awning for taller outdoors enthusiasts. 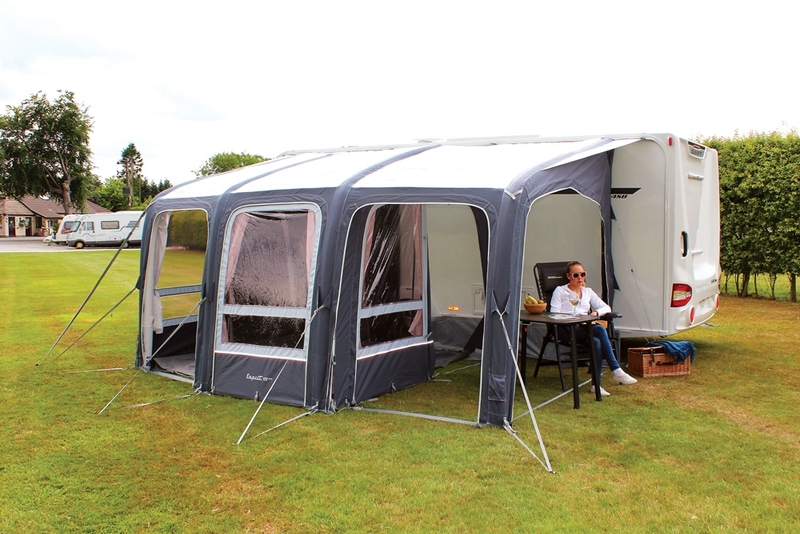 The three versatile front door panels can be zipped back, completely in, or folded down like a barn door, enabling the awning to function as a freestanding canopy in summer. 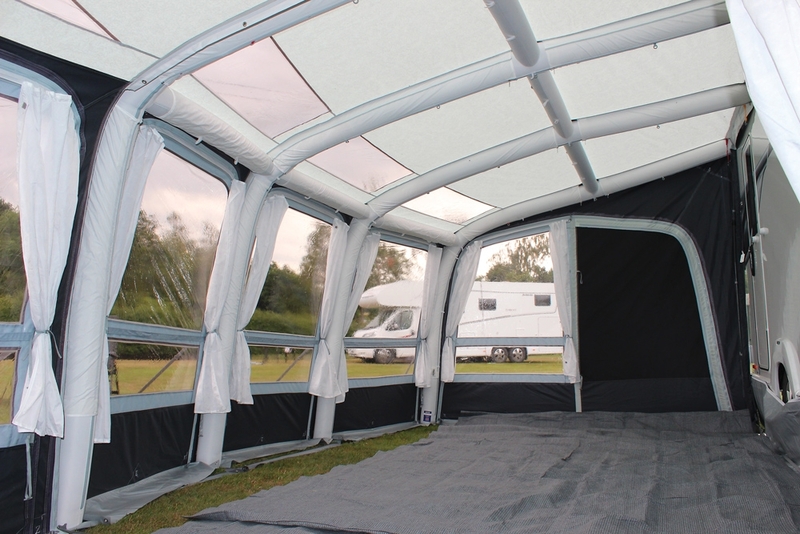 This awning utilises a polyester draught skirt and mud wall to trap heat, plus comes complete with a dual action hand pump, adjustable tensioning/fixing straps, steel ground pegs, a convenient repair kit, left/right hand underwing ventilation and Velcro attachment points for our ‘Lumi-Link’ and ‘Up/Downlighter’ awning lighting systems. 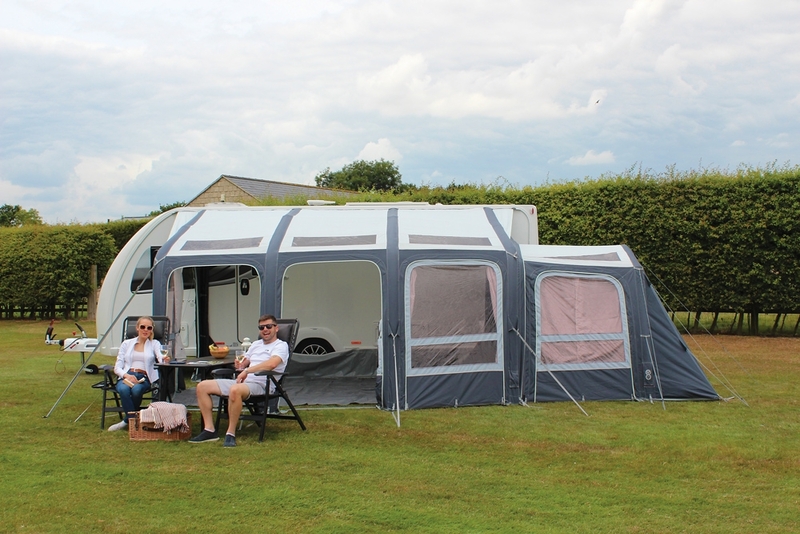 An array of optional extras are available for purchase with the ‘Esprit’ range, including a variable living conservatory/sleeping annexe, co-ordinating windbreak, clip-in two person inner tent, breathable groundsheet, waterproof roof liner and a range of additional solid/mesh panels.